This is Part 3 for building a set of 16 Pagoda Antennas.You also need Part 1 and 2. There you have to choose for RHCP and LHCP. $4.9 for 10 pieces PCB, customize your own PCB NOW ! It is very important to change the PCB Thickness to 1 mm. 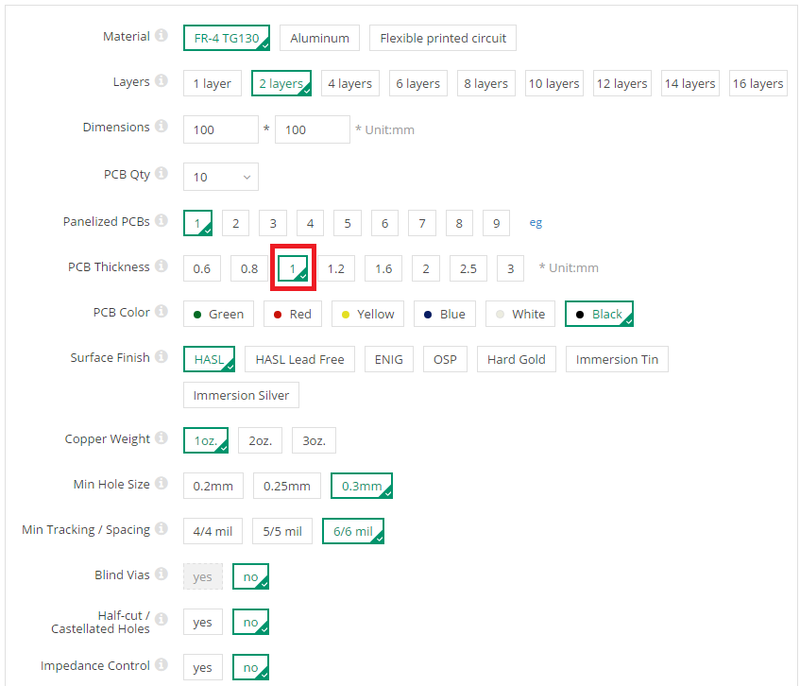 Under PCB Color you can select your desired color. In this article I would like to show you how you can build the popular Pagoda antennas for less than $2. To do this, we simply order 160 PCBs via Seeedstudio for less than $40. This article is about assembling the popular pagoda FPV antenna from Maarten Baert.